You have a compatible device: Apple iPhone 3GS or newer, Apple iPad (all), or Apple iPod Touch (3rd generation or newer). Your device is running the operating system Apple iOS 5.1 or higher. 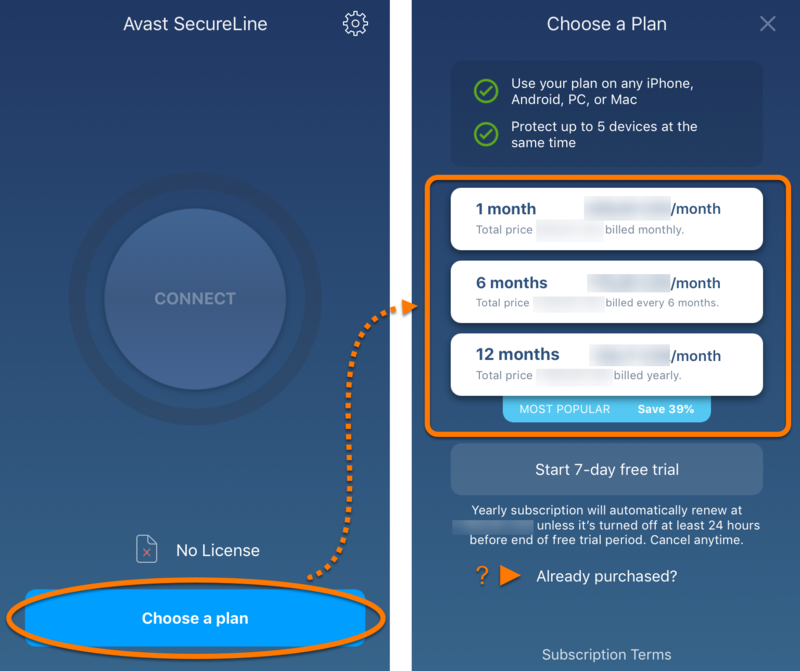 Internet connection to use the VPN service. Tap the App Store icon on the main screen of your device to open the store. 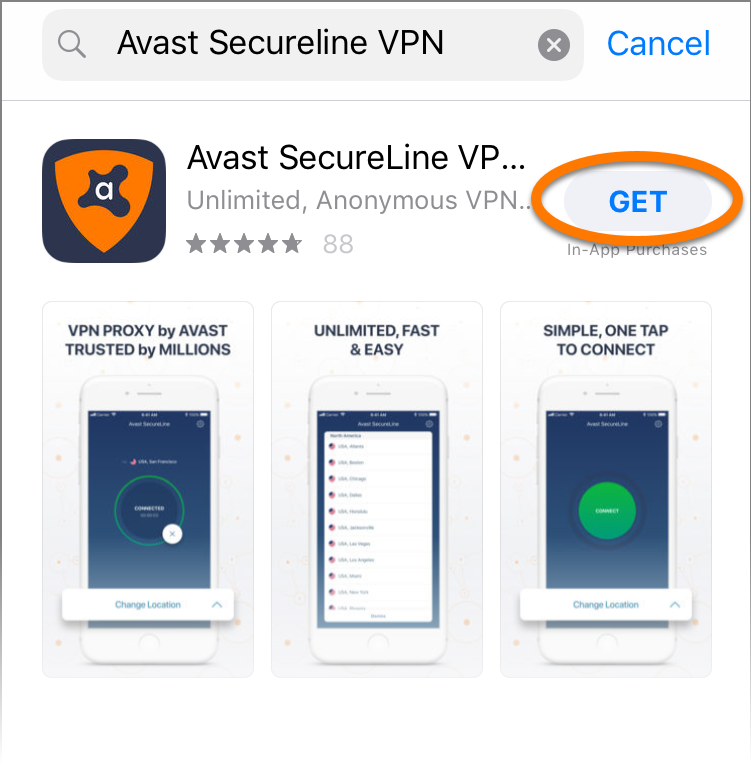 Search for Avast SecureLine VPN, and tap the GET button. After the app is downloaded and installed, tap Open. 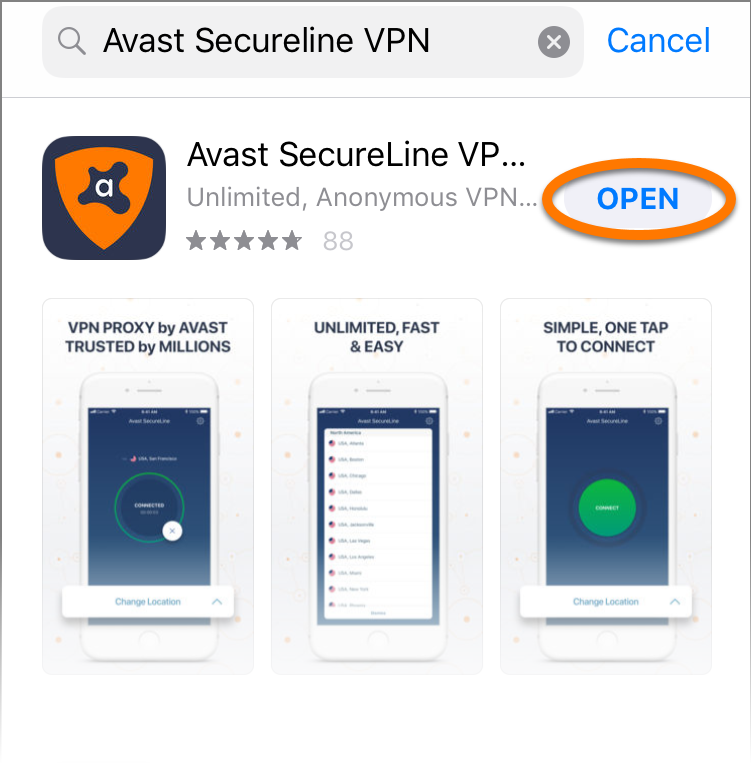 ...or tap the Avast SecureLine VPN icon on your device's home screen.